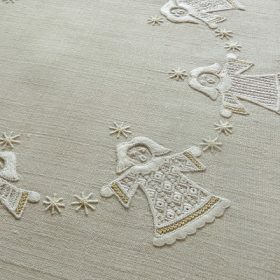 Singing angels with stars was designed by Christa Waldmann. 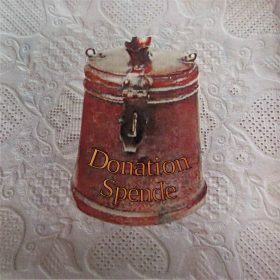 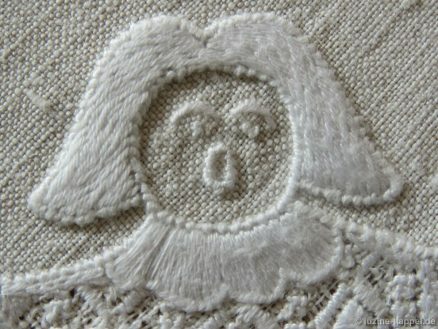 The tea cloth was embroidered by Monika Wegener. The design has a diameter of about 39 cm and was stitched on handwoven linen with a 17/cm thread count. 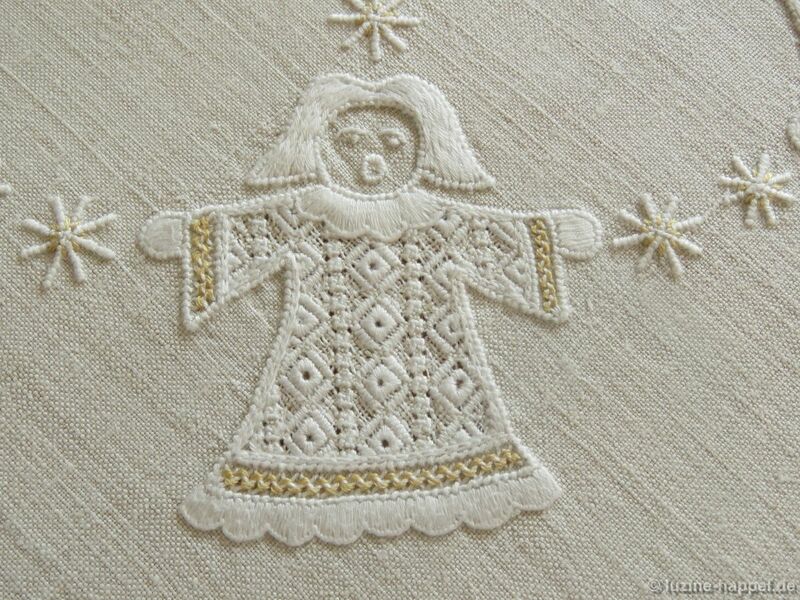 The hairstyle, the collar, the hands, and the dress hem were stitched with very dense Satin stitches. 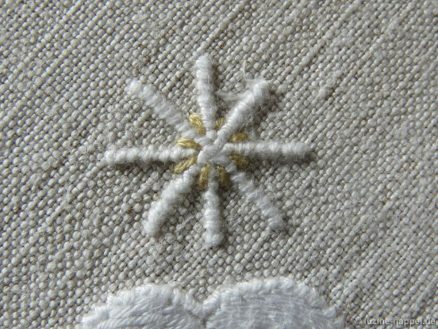 Curved lines and small Lazy Daisy stitches were worked with 2 strands of 6-ply stranded cotton (Anchor colour 874) bring a light shine of colour into the piece. 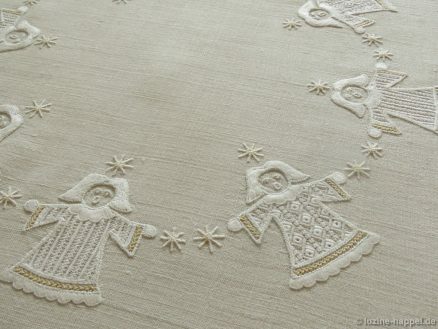 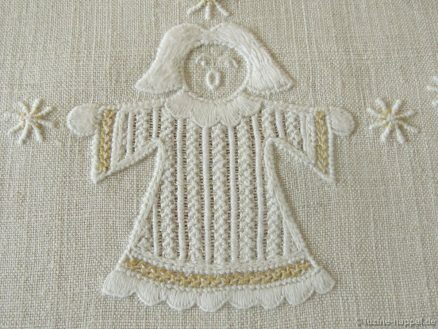 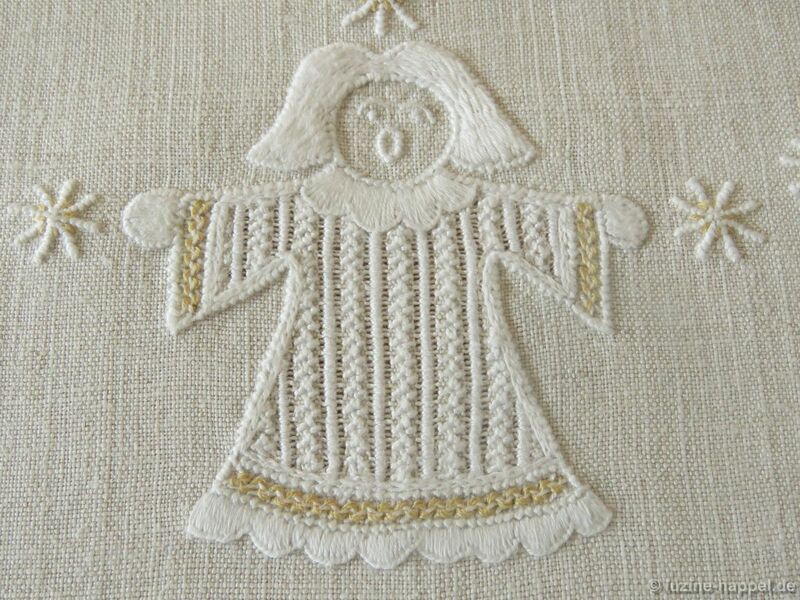 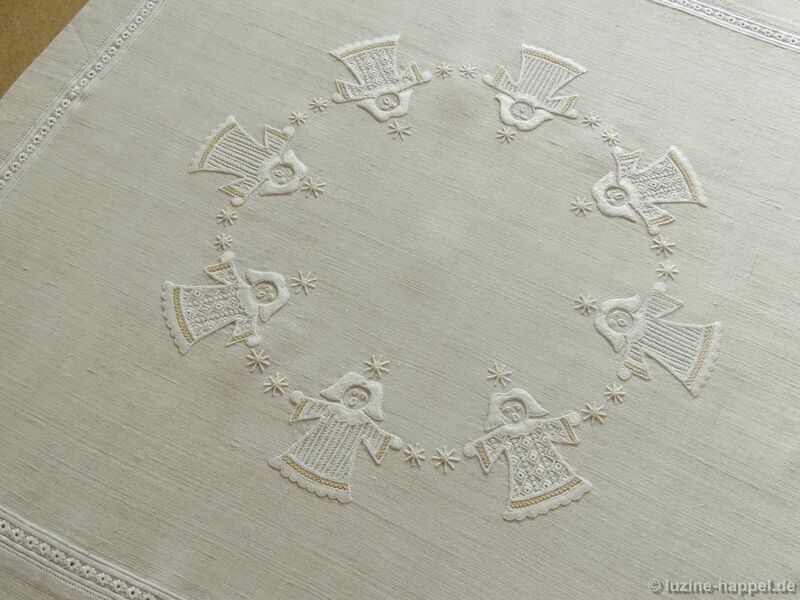 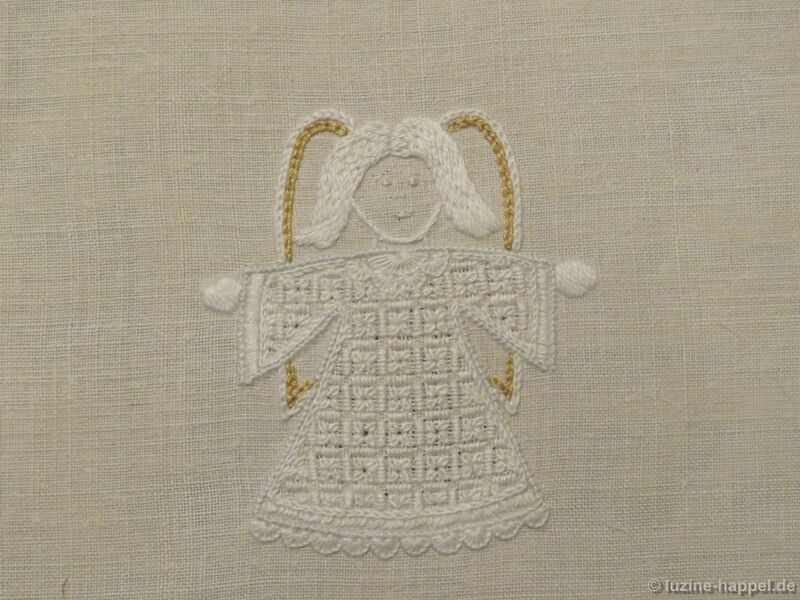 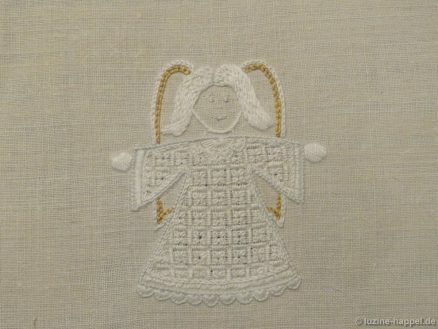 The angels on the straight of grain get dresses filled with alternating single Satin stitch bars (Wickelstiche) and Rose stitches in straight rows (Stars). 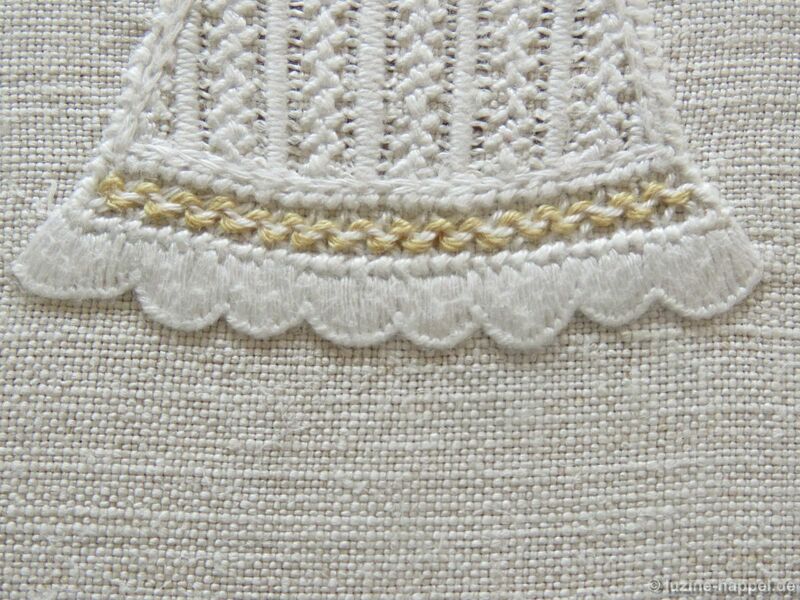 The angels on the bias get dresses filled with alternating rows of Rose stitches (Basic Principles of Schwalm Whitework and lesson #2), Satin Stitches in a stair-step manner and Square eyelets (Limetrosen I). 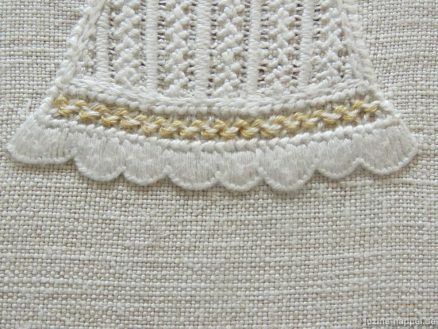 The hems of the skirts are decorated with Herringbone stitches and scallops. 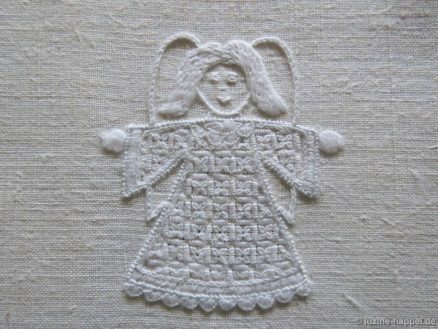 or with a touch of colour. 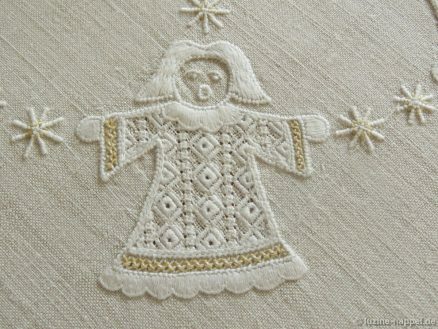 These pretty designs – single figures with and without wings, a smaller design of the wreath with eight figures, and a similar design with sixteen figures (these would make nice edge decorations for a round doily with needlelace) – are included in the upcoming collection of angel designs Advent Calendar 2018.